Our professionals are seasoned artisans and technicians who personally set the bar on excellence for this industry. They deliver exceptional work in the restoration, installation, and maintenance of natural stone floors. They know exactly how to make your stone floors look beautiful, making you look great in the estimation of your customers and guests. 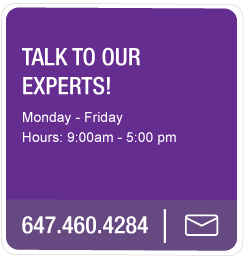 We work collaboratively with you to understand your needs and challenges. We value our relationships and propose only the work that needs to be done, fully explain the process and provide an easy to understand quote. We do pre and post walkthroughs with you to ensure you are satisfied. When you are happy with the final results we call the job complete. We are dedicated to environmental stewardship and use LEED certified environmentally friendly practices. We are constantly monitoring the market for the newest product that causes the least impact to the environment, including non-toxic impregnating products and gentle cleaners for maintenance. Natural stone eventually dulls from wear and environmental stressors. Our professional teams can restore your stone floors to their former glory through targeted repair, grinding and polishing to bring back the beauty and shine of the stone. We then use high quality environmental impregnating sealers to protect your investment and keep your floors glowing over time. We excel in installation of floors and wall slabs. Our services include consultation on the type of materials to use for a project and sourcing rare stone to achieve your décor vision or to match existing stonework. We have the expertise to handle every type of installation from large-scale building projects to skilled mosaic work. A regular maintenance program of preventative intervention techniques ensures that your floors, and especially high traffic areas, remain in excellent condition over time. Custom maintenance programs are tailored to the nature of each specific stone type to maintain durability and enhance the visual appeal of your stone. We believe so much in our level of quality that we offer a Customer Satisfaction Guarantee. The job is not done until you are fully satisfied.